Although the crack-like features seen here on Dione's surface appear wispy and faded, they are in reality a series of geologically fresh fractures! 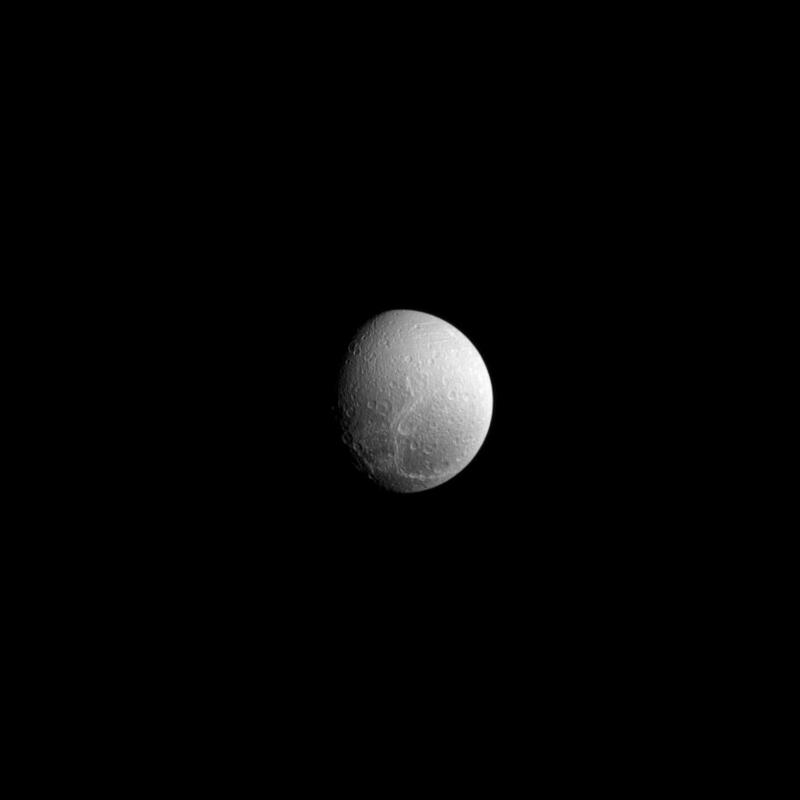 See PIA10560 to learn more about Dione's wispy terrain. 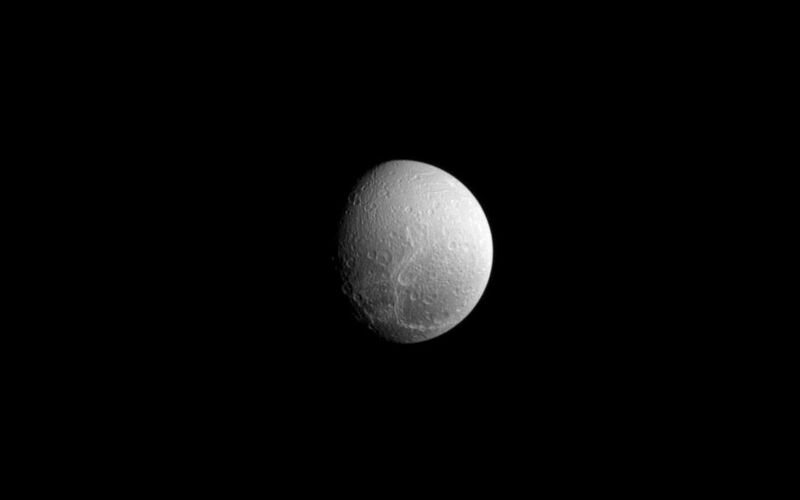 Lit terrain seen here is on the trailing hemisphere of Dione. North on Dione (698 miles, or 1,123 kilometers across) is up and rotated 29 degrees to the left. The image was taken in visible light with the Cassini spacecraft narrow-angle camera on Sept. 10, 2013. 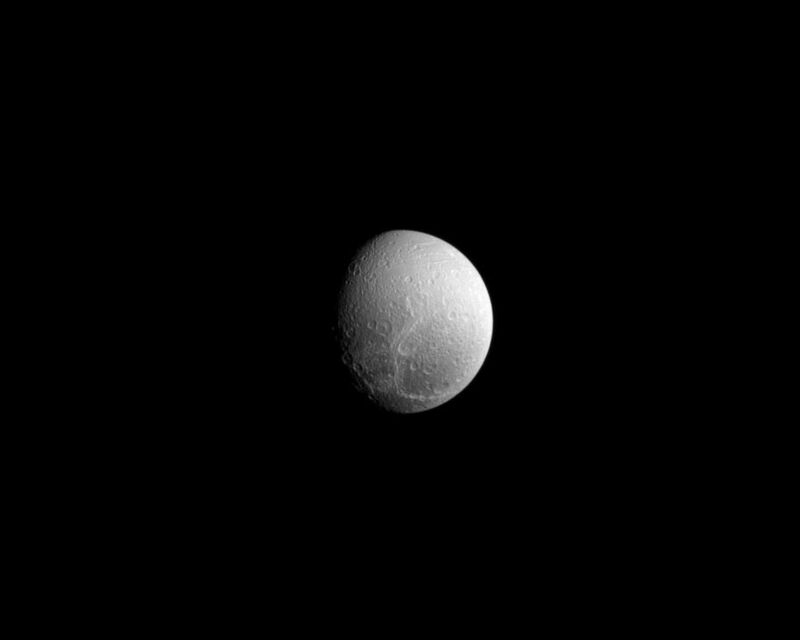 The view was acquired at a distance of approximately 554,000 miles (892,000 kilometers) from Dione. Image scale is three miles (five kilometers) per pixel.